Welcome to TJBoardhire. No1 for paddle board hire, tours, lessons in West Sussex. Here at TJBoardhire we are passionate about getting customers out on the water and sharing the endless possibilities and good vibes SUP paddle boarding has to offer. Stand Up PaddleBoarding or “SUP” is one of the fastest growing water sports. Paddleboarding is safe, fun and accessible to everyone, and with a little instruction your technique and progress will be vastly improved. 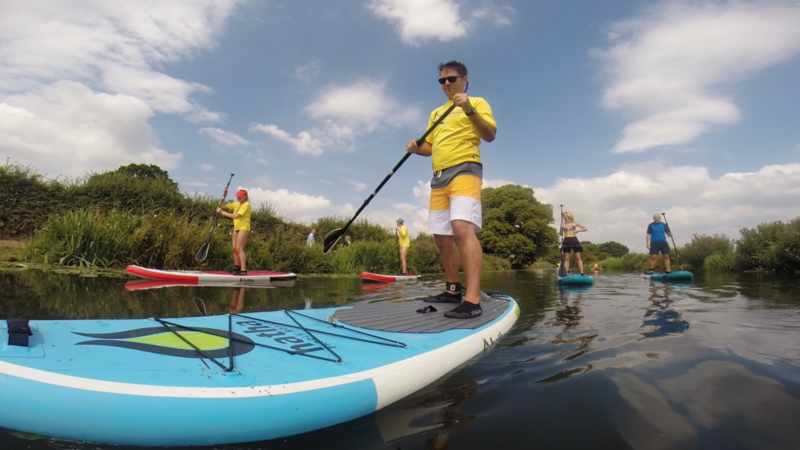 SUP is a great way to get outside, breathe in the fresh air, explore the waterways and enjoy the tranquil beauty of West Sussex. 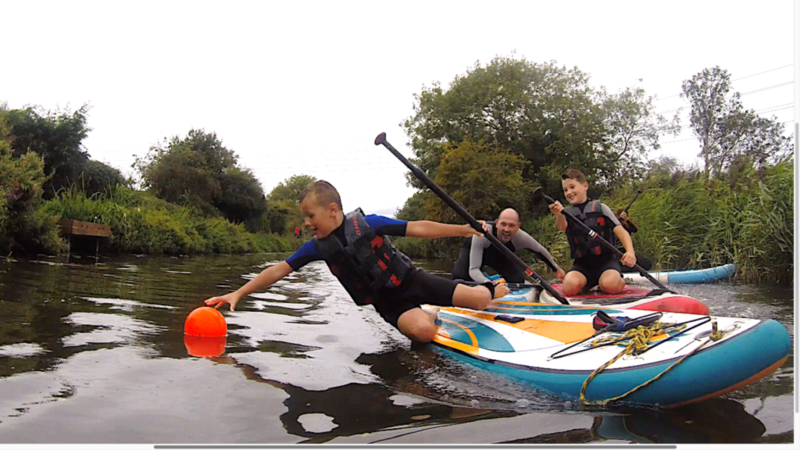 Safety is of paramount importance to us, yourself and other water users, so our beginner sessions take place on the safe, sheltered waters of Chichester Canal , this provides us with the ideal teaching environment to learn new skills and progress quickly. WHAT DO I WEAR / NEED TO BRING? We provide everything that you will need for your session. We have a full range of summer, winter, full suits and shortie O’ Neill wetsuits to suit all ages and sizes, from age 6 to adult XXL, as well as a huge range of wetsuit shoes, rash vests and Palm buoyancy aids. All equipment and tuition is included in our lessons, so all you need to bring is yourself, swimwear for under a wetsuit, a towel and a sense of humour. If the weather is too warm for wetsuits, we would suggest that you wear swim shorts and wear one of our rash vests on your top half. IS SUP FOR YOU ? 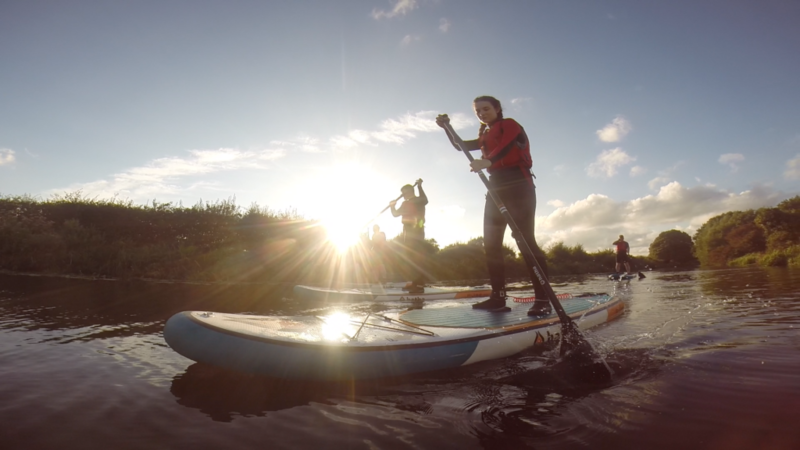 SUP is a gentle, low impact sport which is easy to learn in the correct conditions. Our location on the Chichester Canal provides ideal flat water, uncrowded, sheltered conditions to learn without having to contend with other water users, tides, waves and wind. Our customers span a range of ages from 6 – 80 and we will always aim to cater for any additional needs where possible. We have experience of teaching customers of all ages and abilities and are able to provide additional assistance for customers who may be more nervous about trying a new sport. If you are unsure if SUP is for you, please contact us to discuss your individual requirements. 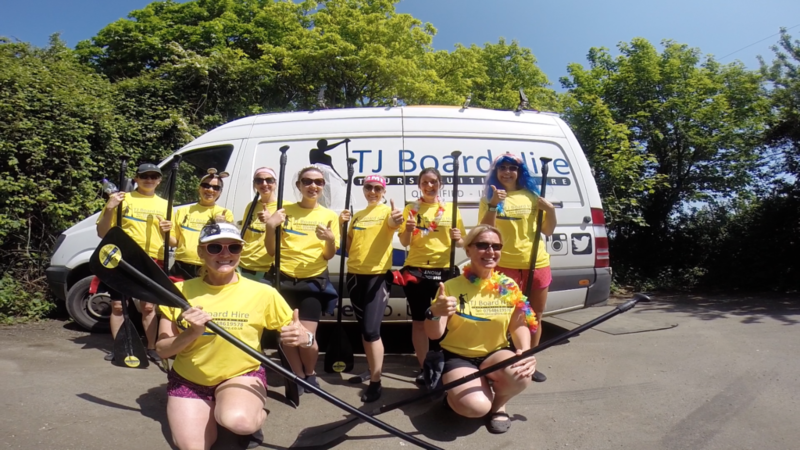 WHY LEARN TO PADDLEBOARD WITH TJBOARDHIRE ? There are many reasons why we would love for you to come and learn to paddle board with us. Firstly our location on the Chichester canal is stunning. The calm, safe conditions, as well as stunning scenery makes for an ideal environment to learn and progress quickly, without spending all of your time falling in and having to contend with unsuitable conditions as is often the case with the sea and rivers. Many of our customers report having attempted to paddle board on the sea and failing miserably. This can be very discouraging and lead to people feeling that SUP is not for them. At TJBoardhire , we would love to show you that given the right conditions and quality kit that you will be able to learn to paddle board quickly and will soon be enjoying the many benefits that SUP brings. So contact us for all your paddle board hire, tours, lessons and special events, but do not take our word for it, check out one of our many TripAdvisor reviews or Facebook recommendations. We tailor all of our sessions to the individual needs of our customers. We can offer technical sessions for those who want to focus on their technique and progressing their stroke, turns and speed. 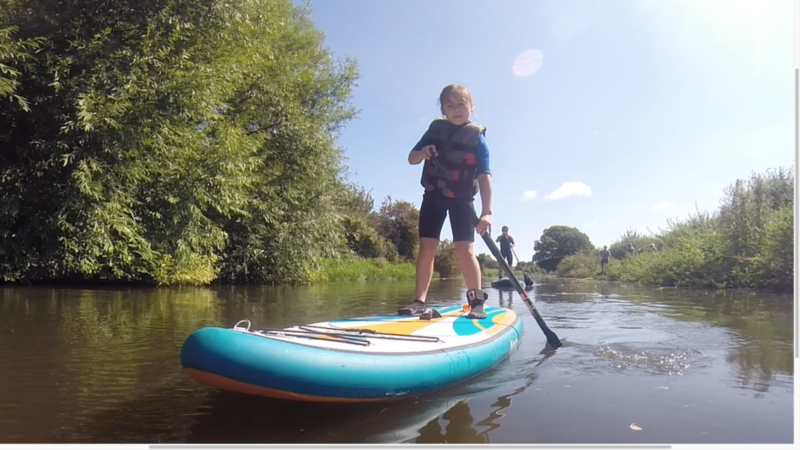 However, we also recognise that some families and groups prefer to have a more fun session whilst learning the basics of SUP and are able to incorporate some fun and games into the sessions to ensure that all ages are engaged in the activity. We also offer bespoke packages for groups which can include a longer session with a stop at the canal cafe for coffee and cake, or the Richmond pub for a refreshment break. These longer sessions are popular with hen / stag parties, corporate events, birthday groups and team building activities. If you are looking for a group activity with a difference that can cater for all ages and abilities and want to ensure that everyone leaves with a smile, please contact us for a discussion on how we can make your occasion special. 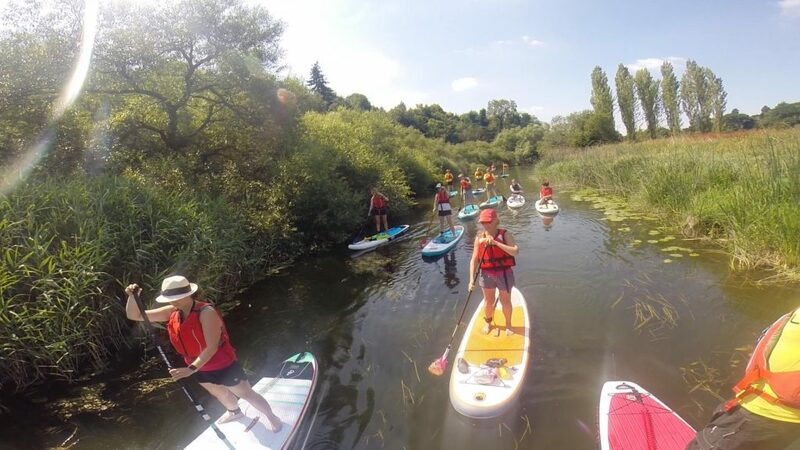 For those who have gained the basic knowledge and skills of paddle boarding, we offer progression trips on the River Arun, which are advertised on our Facebook events page. 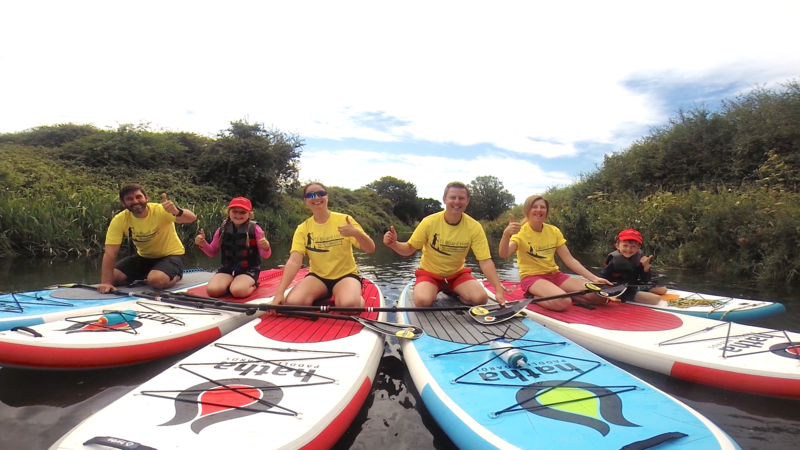 For those who have completed a beginner session, our regular river Arun paddle board adventure trips provide a good opportunity to progress your skills onto moving water, under the supervision of qualified and experienced instructors who have paddled the river extensively. 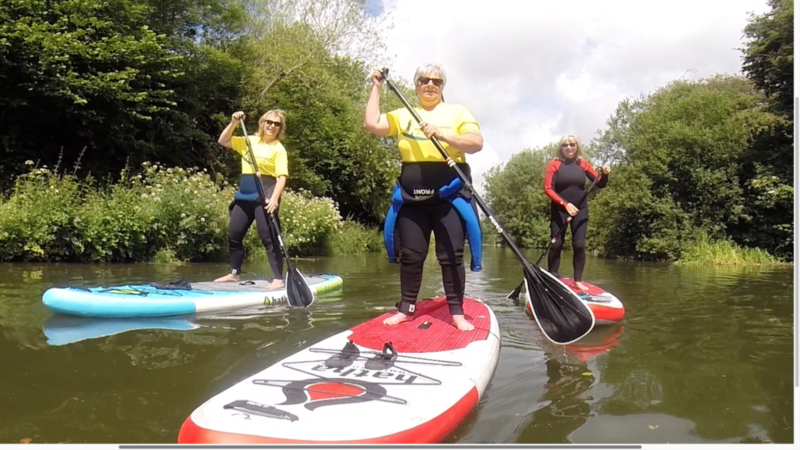 Our River Arun paddle board adventure trips can also be booked for private groups of 6 or more who wish to learn to paddle board in slightly more challenging conditions. The moving water, twists, turns and tunnels offer additional challenges for those looking for a more adventurous introduction. 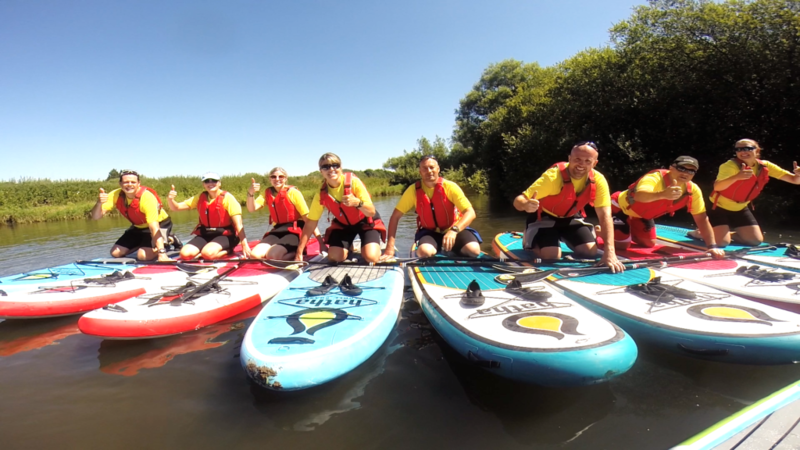 Our river adventure paddles starting from Pulborough, are always a popular choice for those looking for an outdoor adventure with a difference and we can incorporate a stop at the White Hart pub along the way. We have a large fleet of Hatha paddle boards with boards available to suit every ability. We also stock child specific paddleboards and paddles making it an ideal day out for the whole family. 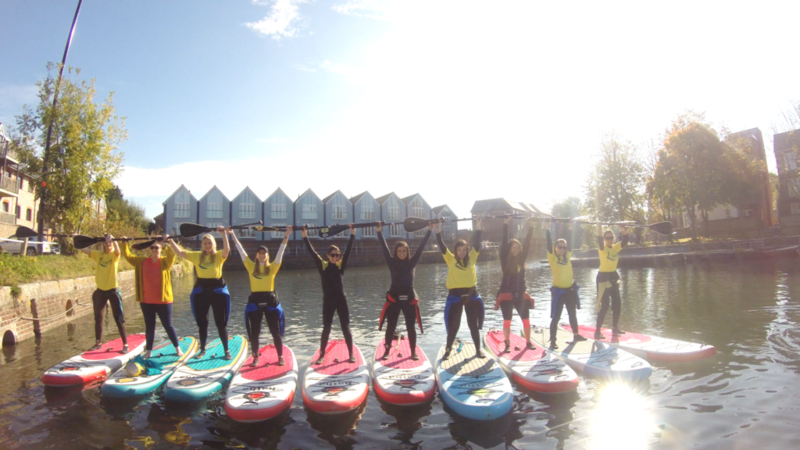 Get in touch to book your paddle board hire, tours, lessons and group sessions. Contact us for more information and to book your SUP session!